Courtesy of Thai Eastern Industry Co. Fabrics, trims, and raw materials are the foundation of our mission to build the best product and cause no unnecessary harm. For that reason, Patagonia travels the globe building relationships with the right suppliers – companies that make high-quality materials while reducing their environmental and social impact. Together, we then work to create the technical, environmental and aesthetic innovations that define Patagonia products. Our search for the best materials starts with our material development team. It is their job to research, develop and approve materials and suppliers by evaluating performance in four key areas: quality, traceability, environmental health and safety, and social responsibility. Our definition of quality demands that every material we use be durable and functionally fit for its intended use. It requires that our materials resist degradation from wearing and washing, be easy to care for, and are grown or manufactured with care for people and the planet. It insists that every garment is beautiful. Developers send potential material options to the Patagonia quality testing lab. The lab analyzes and evaluates the material against a set of minimum requirements relevant for its intended use. To ensure the highest quality, lab analysts rely on industry standards, as well as equipment and test methods that we spent years developing. Our fabric laboratory may test as many as 70 material options in order to approve one fabric that meets or exceeds our minimum performance requirements. We are dedicated to transparency throughout the supply chain. Information about the origin of our materials helps us control quality and assess environmental and social impact. It is for this reason that we require our suppliers to complete a sourcing questionnaire and map their own supply chains. For every one of our fabrics or trims, we require a profile sheet, a supply chain tracking sheet and all relevant third-party certificates. See our certification requirements for organic cotton. Material supply chains are significant contributors to Patagonia’s footprint. Large amounts of water, energy and chemicals are needed to make materials for our products, so supplier operations must be managed in ways that safeguard the environment, factory workers and consumers. Patagonia developed our Chemical and Environmental Impacts Program for the purpose of managing chemicals and environmental impacts in our global supply chain. The program covers all areas of environmental management systems, chemicals management, waste management, water use and emissions, energy use, greenhouse gasses and other air emissions. It requires compliance with local laws for manufacturing site operations, as well as compliance with the strictest international consumer products legislation. It also helps us recognize suppliers who apply best practices as environmentally responsible supply chain partners. Patagonia’s Chemical and Environmental Impacts Program utilizes the latest industry-wide tools including both the Facility Environmental Module and Chemicals Management Module of the Higg Index, leveraging the work we have invested in collaborative groups such as the Sustainable Apparel Coalition and the Outdoor Industry Association‘s Chemicals Management Working Group. Our Chemical and Environmental Impacts Program builds upon the work we have done with bluesign® technologies since 2000. 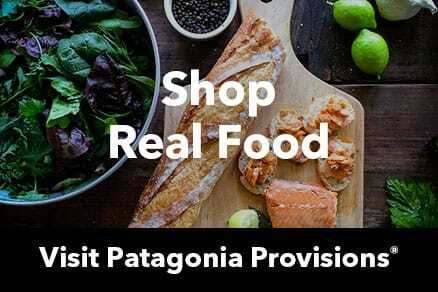 In 2007, Patagonia became the first brand to officially join the network of bluesign® System Partners, which now boasts over 300 manufacturers, brands, and chemical suppliers. We are proud that many of these companies are in Patagonia’s supply chain, and that they share our commitment to continuous improvement of environmental performance by conserving resources and minimizing chemical impacts. Our Raw Materials Social Responsibility Program is one of the biggest and most important corporate responsibility initiatives we’ve launched since the mid-1990s. 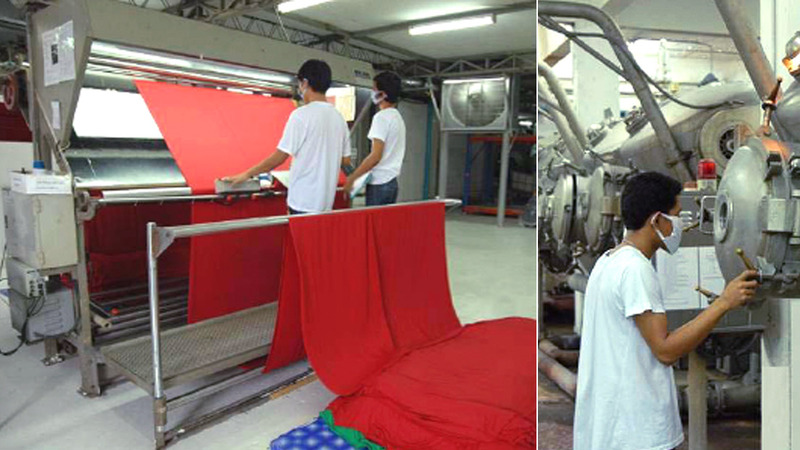 That was when we first began to monitor our garment factories for social compliance and helped form the Fair Labor Association (FLA), a nonprofit labor advocacy organization. The Raw Materials Social Responsibility Program requires that all of our fabric and trims suppliers audit their factories for key social responsibility indicators, such as hiring practices, employee grievance mechanisms, recycling policies and other social and environmental efforts. The steps for mills to comply with the program are similar to those for the factories that make our finished products.